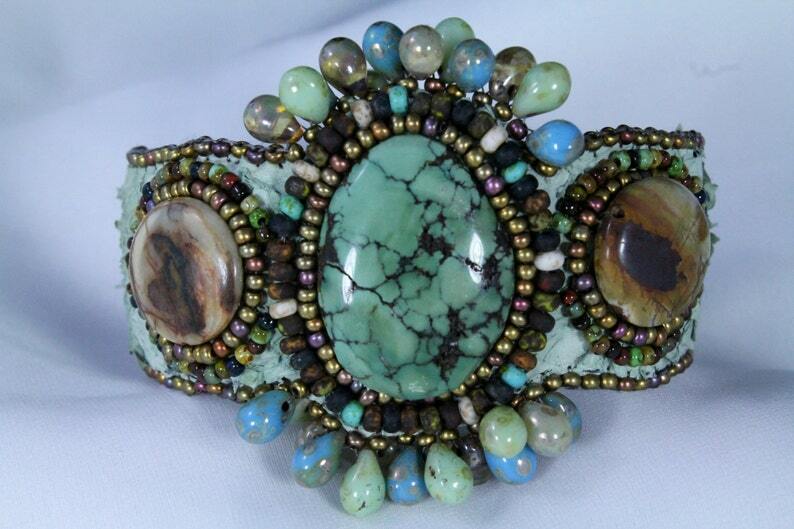 Beautiful Turquoise and Painted Jasper stones, hand embroidered on seafoam green fish leather and embellished with the finest quality of glass beads. The base is a brass cuff that is adjustable to fit, the backside is lined with the same leather. Fish leather has no smell and is just as soft a lamb skin, it gives the cuff nice texture.